The Latest from CERN: Did Einstein Blunder? In late September 2011, scientists at France’s National Institute for Nuclear and Particle Physics Research and Italy’s Gran Sasso National Laboratory fired a beam of neutrinos 454 miles (730 kilometers) underground from Geneva to Italy. Their preliminary results suggested that it traveled 60 nanoseconds faster than light. The researchers, part of the OPERA collaboration, have now reevaluated their analysis and repeated the experiment, this time using very short beam pulses from CERN. OPERA stands for the “Oscillation Project with Emulsion-tRacking Apparatus.” CERN is the European Organization for Nuclear Research. The name is derived from the acronym for the French Conseil EuropÃ©en pour la Recherche NuclÃ©aire, or European Council for Nuclear Research, a provisional body founded in 1952. The researchers fired high-intensity, high-energy beams of muon neutrinos from the CERN SPS accelerator in Geneva toward the LNGS underground laboratory in Gran Sasso, Italy, 454 miles (730 km) away. They then measured the speed at which the neutrinos traveled. New Scientist reports that one of the main concerns from the original September analysis was that it was difficult to link individual neutrino hits at Gran Sasso to the particles that left CERN. To double check, the team ran a second set of measurements with tighter bunches of particles from 21 October to 6 November. 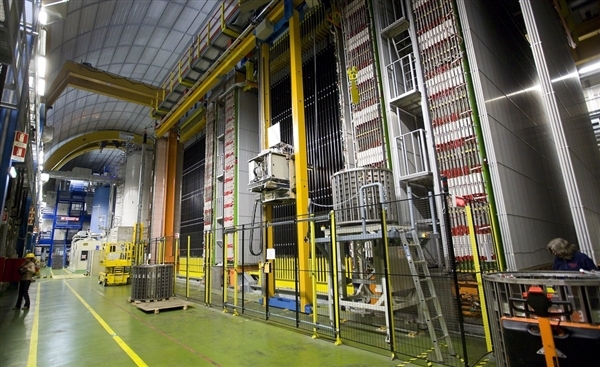 TechNewsWorld reports that the latest batch of experiments resolves two questions raised previously by OPERA physicist Ethan Siegel: whether the results of the first batch could be a statistical fluke, and whether the neutrinos detected were biased in some way. The new results narrow the possibilities down to two, Siegel said: either “neutrinos can indeed travel faster than light,” or there’s a “systematic bias” in the way the OPERA researchers are measuring the transit time for the neutrinos. Two other groups of researchers will seek to duplicate the Gran Sasso results: Japan’s T2K (Tokai to Kamioka, Japan) experiment and the United States’ MINOS experiment. T2K’s J-PARC facility will produce an intense off-axis beam of muon neutrinos. The beam is directed towards the Super-Kamiokande detector, which is 295 km away. The MINOS Experiment is a long-baseline neutrino experiment designed to observe the phenomena of neutrino oscillations, an effect which is related to neutrino mass. MINOS uses two detectors, one located at Fermilab (near Chicago), at the source of the neutrinos, and the other located 450 miles away, in northern Minnesota. The researchers say that if there are problems with the distance or time delay from CERN to the Gran Sasso Laboratory, T2K and MINOS should not have the same problem. The speed of light was established as “the cosmic speed limit” in 1905 by Albert Einsteinâ€™s theory of relativity, widely believed to preclude time travel into the past or travel to other stars. While neutrinos are able to traverse planets and walls of lead like light through a window, there has been no reason to suspect that Einsteinâ€™s theory should not apply to them as well. 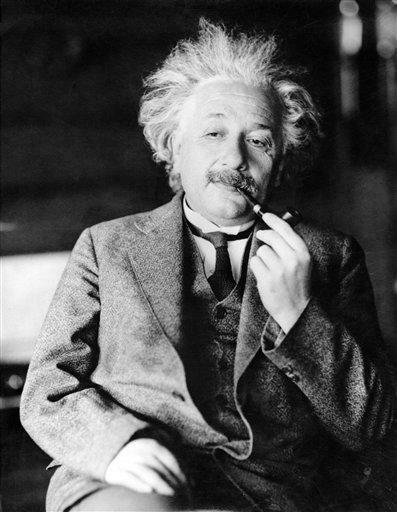 In 1929, Einstein called called his cosmological constant — part of his modified field equation — his “biggest blunder.” He introduced the constant in general relativity theory as a force that keeps the universe stationary. In 1998, new findings showed that the universe is accelerating and that in general Einstein’s “blunder” wasn’t a blunder at all.